Whether your product distribution is global, national, or regional in scope, Fulton County, Ohio has the modal choice for you and a location that is geographically advantageous. Fulton County is blessed with an outstanding transportation system. With I-80 / I-90 extending from border to border east and west, Fulton County is serviced by three separate interchanges throughout the county. Shipments moving north and south can access I-75, which is 10 miles east of Fulton County. Fulton County is dissected by the Norfolk Southern dual main line, which runs east and west through the United States from the Atlantic Coast to the Pacific Coast. Access to this line provides a tremendous advantage to those companies requiring rail transportation. 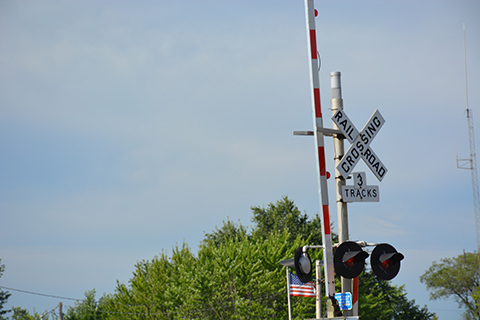 In addition, the Ann Arbor Railtex shortline runs north and south through the county extending from the Detroit and Canadian markets south to the Cincinnati markets. This line has the potential for interconnection to the Norfolk and Southern east and west main line. Toledo Express provides daily passenger flights to major passenger hubs in the Midwest including Chicago, Detroit, Cleveland, Cincinnati, and Pittsburgh. Detroit Metro Airport is located an hour and a half north-east of Fulton County and offers daily direct flights to national and international destinations. The airports in Cleveland and Columbus are both less than 2.5 hours away, depending on your location in the county. The Fulton County Airport located in Wauseon, Ohio offers general aviation services. With a new jet fuel farm and enhanced runway and taxiway infrastructure the local airport can handle many corporate flight activities.